To develop its ports Russia should renovate its dredging and technical fleet having ensured import substitution in this segment. At the Hydraulic Engineering Structures and Dredging Congress organized by Media Group PortNews, representatives of ad hoc ministries, agencies and companies were discussing recent developments in this sphere and the ways to achieve this objective and to improve industry-specific legislation. State-of-the-art dredging and technical fleet is much needed for the Russian economy both for new sea/river transport projects and for maintenance of the existing infrastructure. 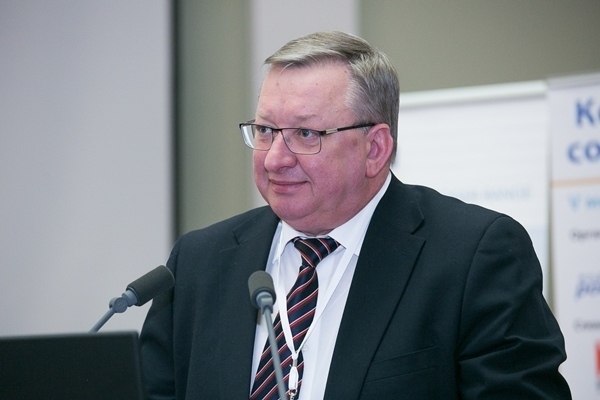 As Andrey Lavrishchev, Director General of FSUE Rosmorport, said at the Congress, “the main task of new projects today is to shift cargo currently flowing via the ports of the neighboring states to the ports of the Russian Federation and to improve the capacity of Russian ports on handling large modern ships”. According to him, the scope of dredging works planned by FSUE Rosmorport for 2018 is estimated at 12.2 mln cbm including 10.9 mln cbm to be dredged under maintenance projects and 1.3 mln cbm – under new construction projects. When it comes to maintenance dredging, the scope of works to be performed by the company’s own facilities will total 7.1 mln cbm (about 65%). In 2017, FSUE Rosmorport dredged 13.1 mln cbm of material including 9.5 mln cbm under maintenance projects and 3.5 mln cbm - under new construction projects. The company’s own fleet dredged 6.2 mln cbm of material. Rosmorport’s dredging fleet currently numbers 30 vessels including 9 trailing suction hopper dredgers, 3 multi-bucket dredgers and 2 non-self-propelled pumping dredgers with the rest units accounting for auxiliary equipment. “This year we’ll estimate the efficiency of our own equipment and, perhaps, suspend the extensive procurement campaign … Not all ports operate round the year and we should adjust to this situation since the equipment should be efficient and be in operation all the year round. Our target is to perform the bulk of maintenance dredging and part of construction dredging using the company’s own resources”, commented Andrey Lavrishchev. The company is set to raise the share of works performed by its own equipment to 70%. 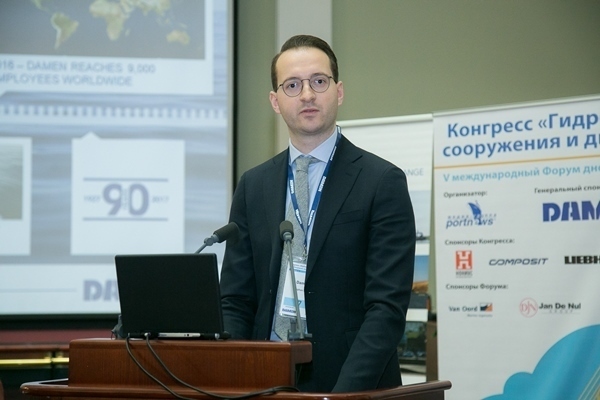 Among the promising dredging projects Andrey Lavrishchev named the construction of a cruise terminal in Pionersky (Kaliningrad Region) with the scope of dredging of about 1.3 mln cbm, reconstruction of the shore infrastructure at the port of Gelendzhik (300,000 cbm), construction of a coal terminal in the Muchke Bay (Vanino, 1.5 mln cbm), reconstruction of Berths No 1-3 at Cape Signalny (Petropavlovsk-Kamchatsky, 200,000 cbm). The most ambitious project at inland water ways is the Bagayevsky Hydrosystem construction. At the Congess, it was covered by Sergey Gaidayev, head of Azov-Don Basin Administration. According to him, Bagayevsky Hydrosystem is supposed to be put into operation by the navigation season of 2021 when design depth of 4 m is ensured. In their turn, RF Ministry of Transport and the Ministry of Industry and Trade are preparing a package of measures for optimization of costs and localization of dredging equipment and their components manufacture in Russia. As Nadezhda Zhikhareva, deputy head of Rosmorrechflot, told at the Congress, regulatory framework for the use of extracted soil is being shaped today. Draft order of RF Transport Ministry on arrangements for closed auction to supply bottom soil has been submitted to the Ministry of Justice. That will ensure additional income from selling non-used soil. At the same time, some areas, first of all in the Far East, face difficulties with dumping amid other economic activities in the region (fishery, etc.). 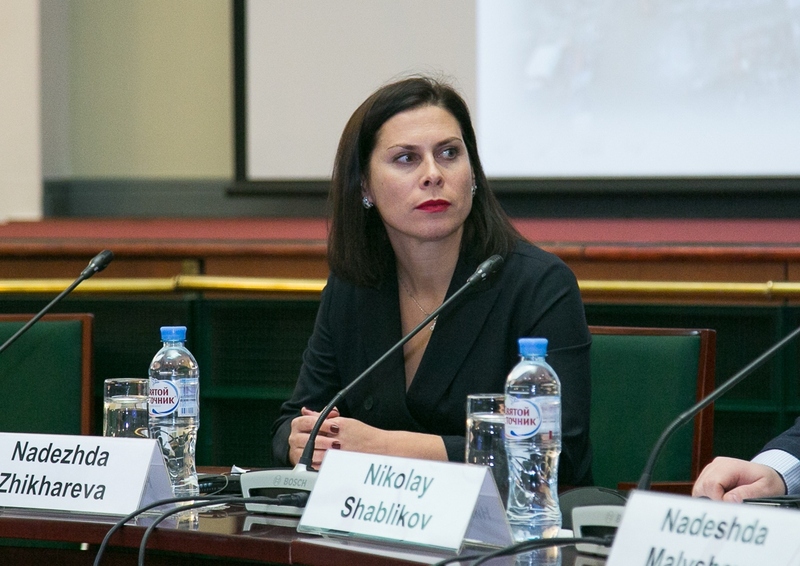 Nadezhda Zhikhareva says a solution will be developed by ad hoc authorities in the nearest future. Besides, the work is underway to improve regulatory framework for facilitation of infrastructure projects in the sector of marine and river transport. In general, representatives of the industry are concerned about expert approval of the projects, which usually take much time. 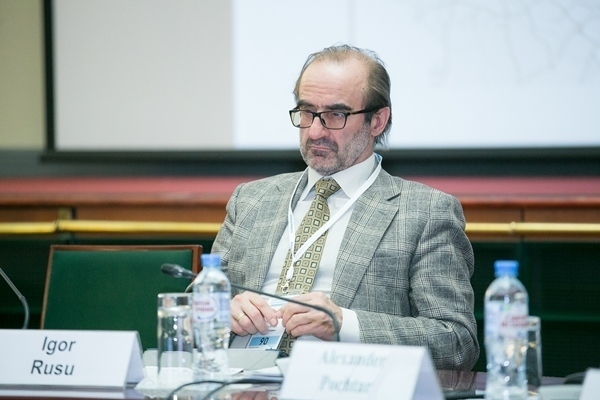 In this context, Aleksandr Markov, Head of HES Operation Department, FSUE Natsrybresurs, proposed introduction of a one-stop shop for repair dredging. According to him, that would let owners of the terminals escape different surveys and approvals while expert evaluation is to be conducted in the framework of the state system. This proposal applies only to repair dredging which directly affects the revenues of terminal owners. As for project dredging, thorough designing and expert evaluation is required, believe most of the Congress participants. However, the process of projects approval in the Russian Federation is still long and expensive. 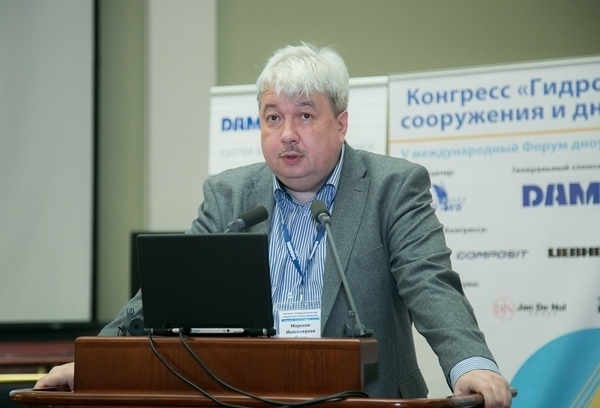 “As a designer, I will stand for streamlining of the expert approval, - said Igor Rusu, Director General of LENMORNIIPROEKT. – On the other hand, the projects are unique and sophisticated. The mistakes that can be made during designing can entail quite tricky implications.” Nevertheless, the head of the design company agreed that the legislation requires improvement. The Ministry of Industry and Trade of the Russian Federation, in its turn, is working out measures on import substitution, localization of dredging equipment and vessels manufacture in Russia as well as stimulation of this segment of industry. Those activities were covered by Nikolay Shablikov, Deputy Head of the Ministry’s Department of Shipbuilding & Marine Engineering. As of today, there are there are several programmes in Russia aimed to stimulate domestic shipbuilding. Among them are subsidies to cover loan interest rates, utilization grants, special investment contracts etc. In partnership with the business community and ad hoc ministries and agencies, the Ministry of Industry and Trade is preparing measures on applying them in the segment of dredging equipment and vessels. It is also developing a state programme on construction of such vessels in Russia. 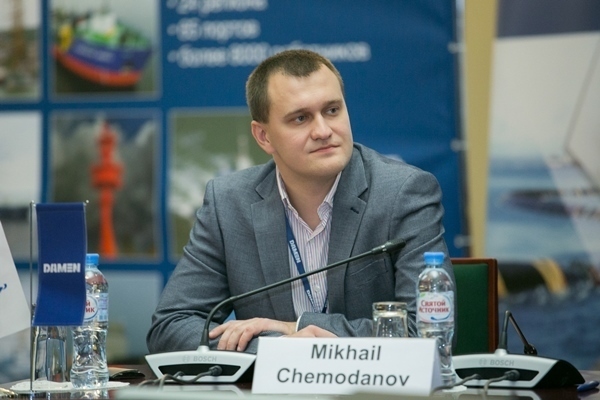 Gennady Yegorov, Director General of Marine Engineering Bureau, said at the Congress that the demand for river dredgers in Russia is estimated at 74 units, cranes and boats for bottom-cleaning - 26 units, hopper barges - 27 units. According to him, it is economically efficient to build non-self-propelled suction dredgers with no living accommodation for the crew. They should be fitted with state-of-the-art equipment including cutters for heavy ground and hydraulic devices for light soils. He considers it reasonable to use the procedure of Russian River Register for using the decommissioned ships for construction of new dredgers. Taking into consideration the demand of different basins Russia will require dredgers of about 6 different types. 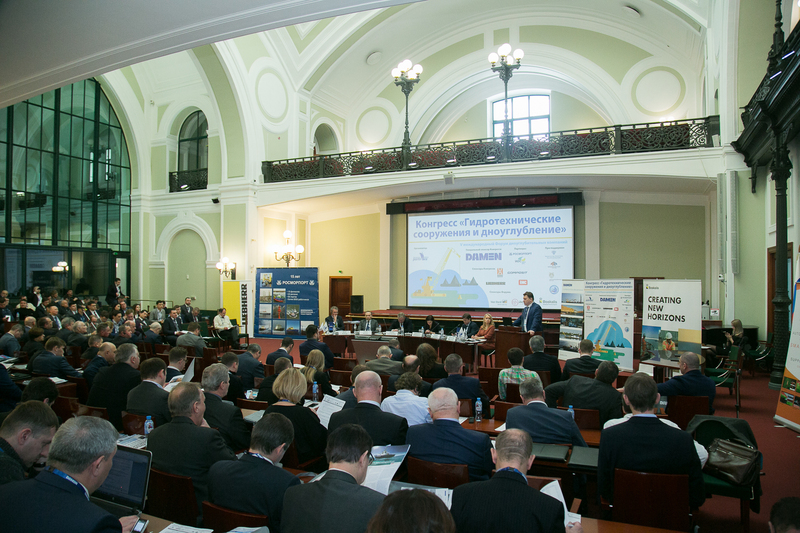 Representatives of DAMEN Group, one of the global leaders in this segment, which also specializes in building dredgers for the Russian market, told the Congress participants about innovative solutions used in their products. In particular, DAMEN is experienced in construction of dredging vessels able to operate in Arctic conditions like MAD 3500, Marine Aggregate Dredger designed to extract sand and gravel from the sea bed up to depths of 55 metres including in the challenging conditions experienced in the North Sea. Among innovative solutions used by DAMEN to reduce construction costs is 3D printing of components (the company has recently 3D printed ship’s propeller), flexible pump unit etc. As for innovations, a trend towards automation and robotization of equipment is a recent feature of different segments of machine building including those for the dredging market. 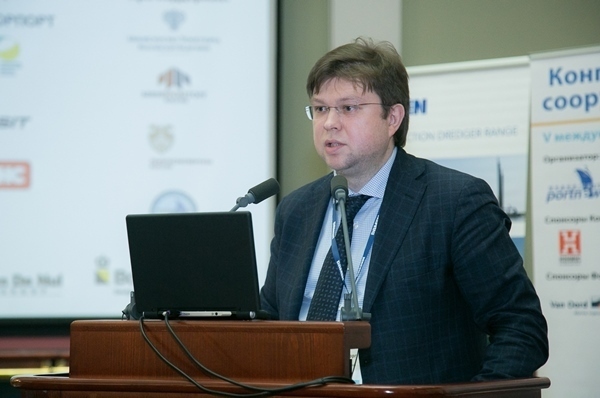 Mikhail Chemodanov, Technical Director of Nonius Engineering LLC, told at the Congress about at the developments on construction of an unmanned dredger. A pumping dredger is the first to be automated. According to Mikhail Chemodanov, Russia’s know-how in this sphere is sufficient to be put into practice. Among the advantages of the robotized dredger he mentioned the reduction of operational costs related to personnel, among disadvantages – the need for investments and a risk of program errors. The expert emphasized that that this technology can be applied to integrate unmanned dredgers into an intelligent network, ‘an ecosystem’. According to him, automated modules can be manufactured separately from vessels to ensure their operational flexibility. Today, Nonius Nonius Engineering is already involved in the projects on automation of dredgers operated in river basins for work optimization. In general, the segment of dredging and hydraulic engineering is successfully developing in Russia today. Yet, it faces a number of major challenges like improvement of the legislation, import substitution and innovations. Solutions can be only found through cooperation of all the stakeholders: Ministry of Transport, Ministry of Industry and Trade, Ministry of Construction, Ministry of Natural Resources and Environment, Federal Fisheries Agency, domestic and international manufacturers of equipment and designers. Media Group PortNews organizing industry-specific events considers it important to offer a public platform for this cooperation.